What’s not to love about an Oreo? A thick, creamy center is sandwiched between two crisp chocolate cookies. Serve with a glass of milk and you’ve got a near perfect dessert. What could make it better? 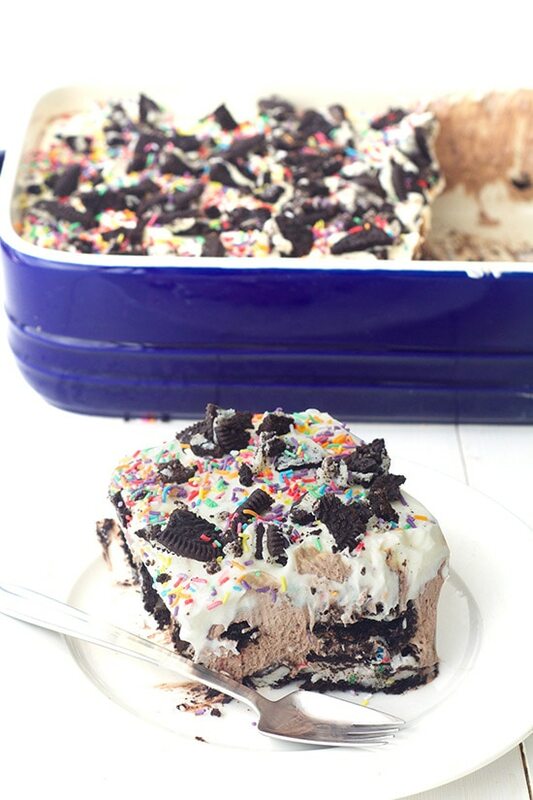 Oreo cookie desserts are the ultimate indulgence. Take your chocolate sandwich cookies to a whole new level of deliciousness with these no-bake dessert recipes. From yummy cheesecake to a perfect icebox cake, I’ve found 8 no-bake Oreo dessert recipes you’re sure to fall in love with — I promise! 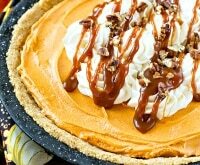 Ready for even more no-bake favorites? 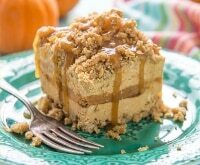 Try my decadent Pumpkin Spice No-Bake Cake! 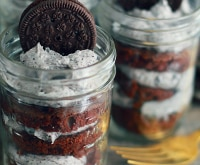 Don’t have time to make a dessert, but need a few fun hacks that will take your Oreos to the next level? 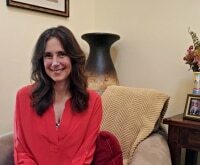 Try these ideas on for size! 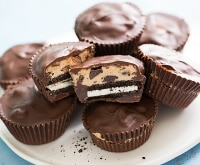 Peanut butter-stuffed Oreos: Gently twist an Oreo open, fill with a schmear of peanut butter, Nutella, or cookie butter. Replace cookie and enjoy. Or, for extra decadence, dip in milk chocolate! 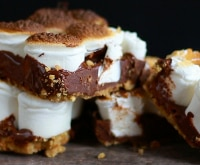 S’moreos: Twist open Oreos and fill with gooey toasted marshmallows. Replace the cookies and enjoy! 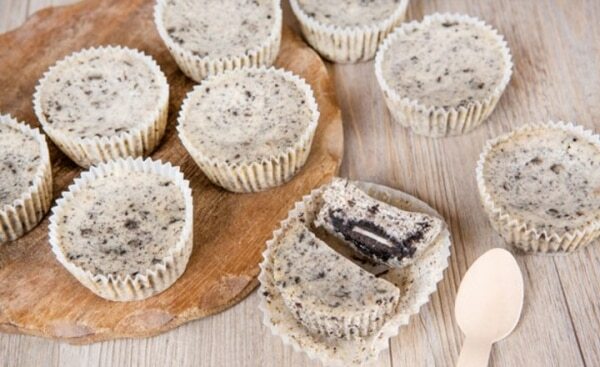 Oreo ice cream sandwich bites: Fill Oreos with a scoop of ice cream. Mint, vanilla, and cookies and cream are great combos. Roll in sprinkles and enjoy! DIY caramel delights: Recreate everyone’s favorite Girl Scout cookies with this easy idea. Twist open an Oreo and place a small spoonful of coconut-pecan frosting on top of each cookie. Drizzle with melted milk chocolate. Dirt cake: Crumble Oreo cookies and serve on top of a cup of chocolate pudding. 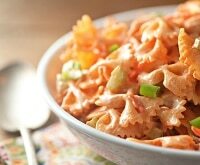 Add a few gummy worms and enjoy! 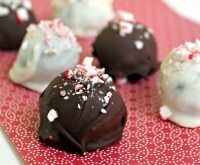 Cream-filled cookies stuffed with peppermint patties and dipped into chocolate? This simple recipe is every mint-lovers dream. And the best part? No stove required. 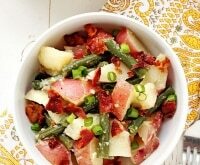 You can make it all on your kitchen table, with the quick assistance of a microwave. By the time you have your workspace tidied, you’ll have a batch of insanely irresistible chocolate-dipped cookies. This simple treat is about to become a new favorite. Perfect for holiday giving! No matter how you eat your Oreos, you’ll love saving with Oreo coupons! 1. Twist cookies open. 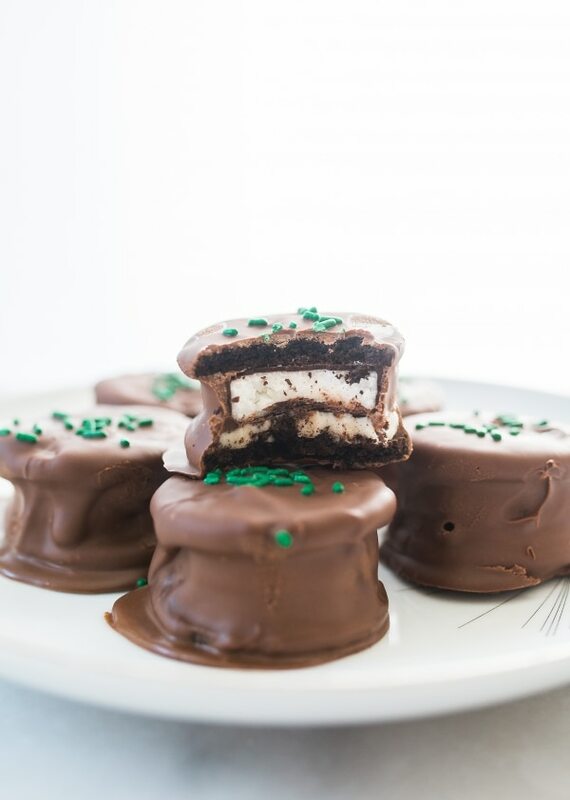 Place a peppermint patty in the center of each, replace the top cookies. 2. In a microwave-safe bowl, melt chocolate chips and coconut oil in 30-second bursts until smooth. 3. Holding the cookies together firmly, dip into chocolate, place on a parchment-lined baking sheet. Sprinkle with sprinkles. Refrigerate or freeze until chocolate is firm. 4. For best results, store in fridge until ready to enjoy. Make dessert the Italian way with delicious cookies and cream tortonis. These yummy frozen Italian dessert cups are a dream to gobble up and they’re so easy to make! Peanut butter and chocolate lovers beware! 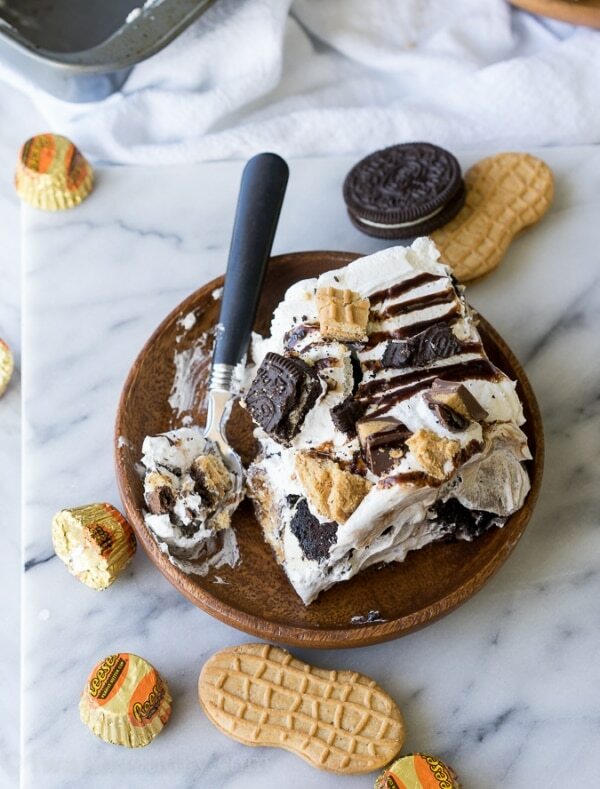 You’ll fall in love with this peanut butter cookies and cream icebox cake. Best of all? It’s a no-bake dessert, so there’s no worry of overcooking or drying out your cake! 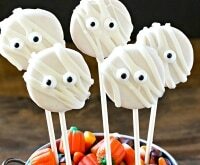 Dress up your cereal bar treats with sweet white chocolate and chunks of Oreo cookies. 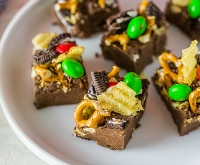 They’re perfect for serving at a party, or keep them all to yourself for an after-dinner treat! If you love no-bake Oreo bars, this butterscotch and peanut butter version will be another favorite. It comes together so easily, and you’ll need to use all restraint possible to wait for it to cool! 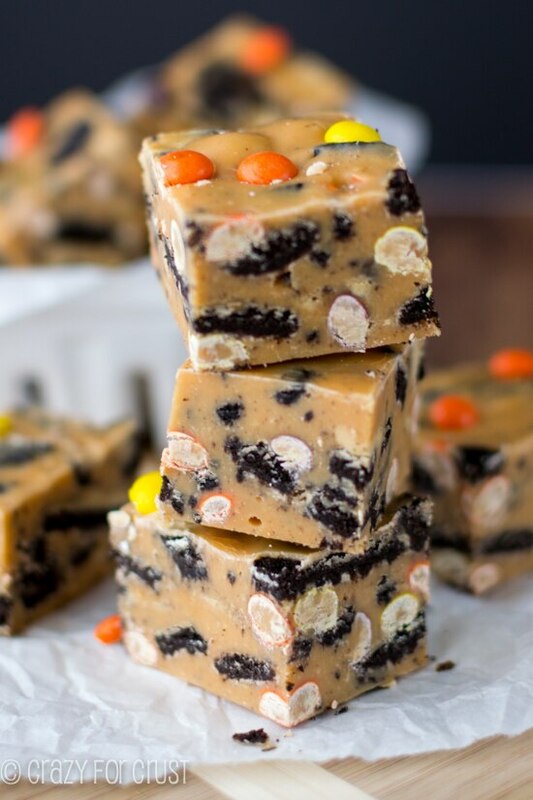 Bite into a thick and indulgent block of fudge that’s brimming with peanut butter Oreos, Reese’s® Pieces, and butterscotch and white chocolate chips. This simple no-bake recipe is perfect for satisfying a serious sweet tooth! What’s so great about this cake? 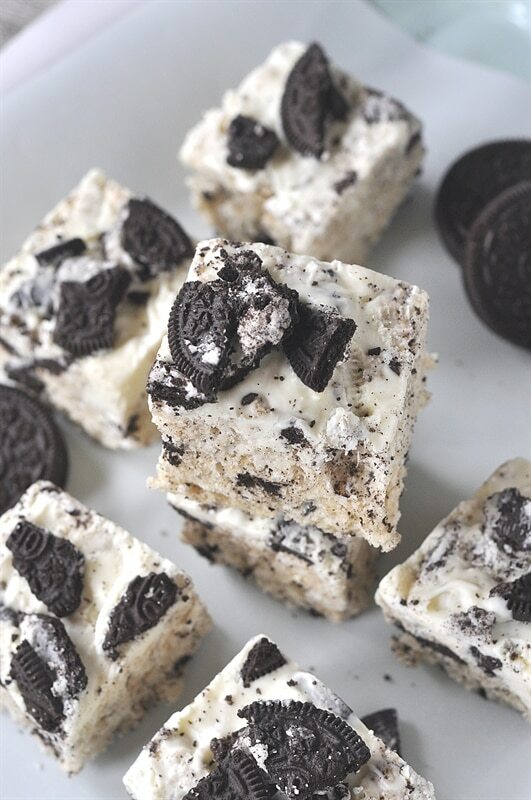 The Oreos soften and develop a tender, cake-like texture, creating a heavenly dessert. It takes only a handful of ingredients to make this irresistible no-bake birthday cake. Even if there’s no special occasion, this cake is worth making! 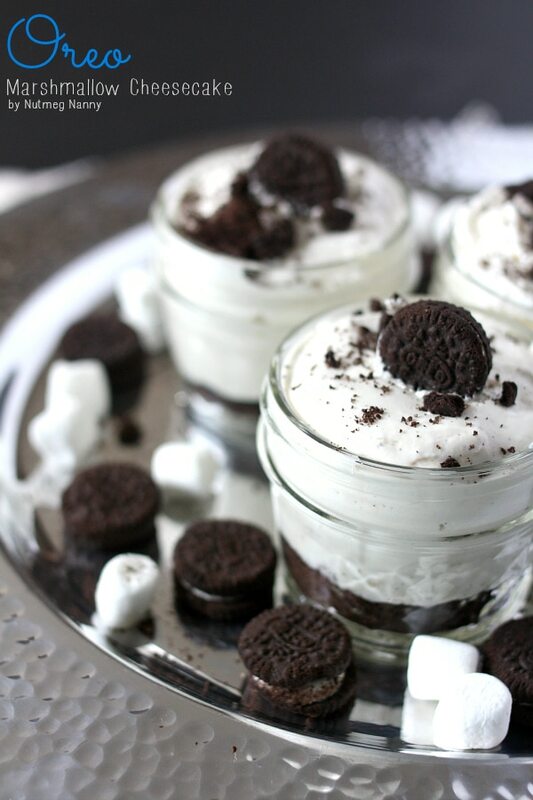 Indulge in your own personal jar of no-bake Oreo marshmallow cheesecake. It’s sweet, fluffy, and full of yummy cookie flavor, so grab a spoon and dig in! 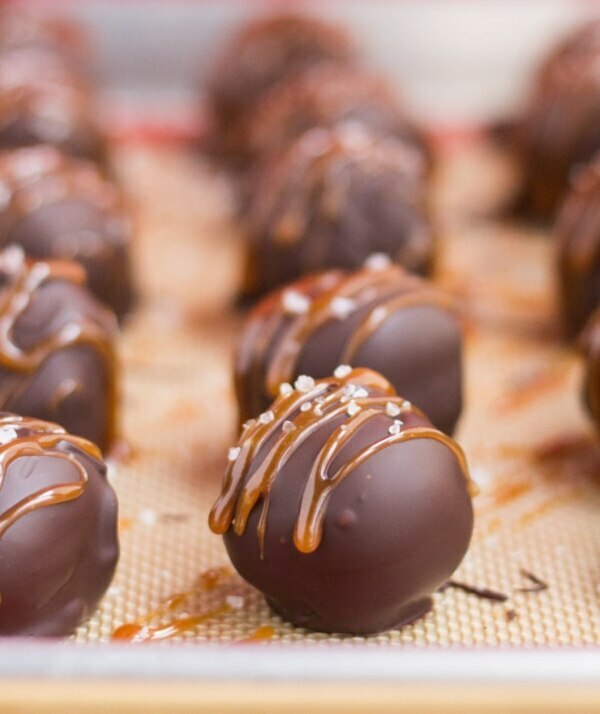 Homemade salted caramel sauce puts these chocolatey, fudgy Oreo cookie balls over the top. 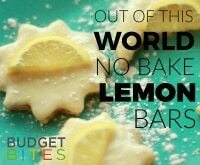 These no-bake cookies are perfect for any occasion that calls for delicious sweets!